In addition to eying pickups in a few congressional districts in 2018, Kansas Democrats are optimistic about their chances of adding their state to the list of possible Midwestern gubernatorial pick-ups this cycle. 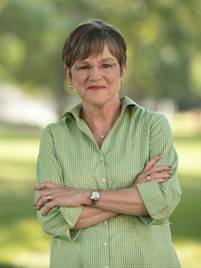 Democratic nominees in Illinois, Iowa, Michigan, Ohio, and Wisconsin all boast even to favorable odds to flip seats this November and Kansas state Senator Laura Kelly hopes that a growing list of prominent GOP endorsements will boost her campaign to pry enough independents and moderate Republicans over to her camp to defeat controversial Secretary of State Kris Kobach. Former three-term U.S. Senator and Kansas political royalty Nancy Kassebaum recently added her name to the list of prominent Republicans endorsing Kelly that includes former U.S. Senator Sheila Frahm, former Governor Bill Graves, and several former and current state legislators. But while Democratic gubernatorial victories have generally been scarce in the state over the decades – winning just 16 of 68 elections since statehood – the party has enjoyed more success at the ballot box when a Republican president sits in the White House. 1958 (Eisenhower): Docking became the first Democratic governor in the state to win reelection with a 13.9-point win over publisher Clyde Reed, Jr.
Kansas Republicans have likewise fared better in their bids for governor when the opposing party is in the White House. The GOP has won 24 of 29 gubernatorial elections with a Democratic president (82.8 percent) and 26 of 39 with a Republican president (66.7 percent). Since the late 1800s, only six of 21 presidents have seen their party notch a winning record in races for governor: John Kennedy (64.1%), Teddy Roosevelt (60.5%), William McKinley (59.5%), Calvin Coolidge (59.3%), Franklin Roosevelt (58.4%), and Jimmy Carter (55.6%). Donald Trump’s approval rating in Kansas came in at 52 percent in an August 2018 Morning Consult poll with his disapproval marks rising from 32 percent in his first month of office to 45 percent 19 months later. Previous: Which States Lead the Nation Nominating Women for Governor? Next: Is the Footprint Fading for Minnesota 3rd Party US House Candidates? 3 Comments on "Will Kansas Elect A Democratic Governor in 2018?" 1. “…Nancy Kassebaum…” Did she revert back to her first married name after the passing of her second husband, US Howard Baker? 2. “…several…current (R) state legislators”. If any of them are standing for re-election, or seeking election to other offices, as Republicans, such persons must be truly brave souls! 3. If any of the three non-majors (i.e. a Libertarian and TWO independents) garner a sufficiently significant share of vote that otherwise would have gone to Senator Kelly, then the R nominee, for all the ‘cold shoulder’ from Kassebaum (Baker), ex-Lieutenant Governor Frahm, and others in the state R “royalty” and establishment, has a chance at having the last laugh (it would also be only the fourth time since their terms were lengthened to 4-year terms that the Sunflower State does not vote in opposition to the party of the WH in its gubernatorial voting). I would like to say the KS Dems win back Cedar Crest (Residence of the KS Governor), but I do NOT see it happening. Kelly pulled off the upset.